This is the next post in my “Do I need a Lawyer” series about dealing with insurance companies after a car wreck. In this post I’ll be discussing cases where you absolutely need a lawyer: accidents involving serious injuries and/or death. If your case involves serious injuries and/or a death, you need a lawyer. I would never advise a person to handle a case on their own that involved a death. Similarly, I would caution against handling a case that involved very serious injuries. For one, the question assumes a person could actually handle such a claim on his/her own, and as will be discussed in future posts, cases involving large damages almost never settle without filing a lawsuit, and undertaking serious litigation. Second, a person going through such trauma should not be bothered by the nuisance of handling a legal claim. For one, hiring a lawyer for your car accident gives you piece of mind, so you don’t have to worry about the problem. I firmly believe that a primary benefit of hiring counsel is to have your legal burdens lifted off your shoulders and rested on those of your lawyer. This is why every lawyer I know always hires their own lawyer to represent them when they have their own legal matter. We pass it off on our own lawyers, so we can focus on our own lives and careers and let them worry about the case. You would be advised to do the same, especially when dealing with any type of traumatic event, including car accidents with serious injuries. In Oklahoma, major Car Wreck cases always require Major lawsuits, which means you must have a lawyer. You will be better off anyway, and get more compensation. Cases that involve serious injuries require serious focus, attention to detail, and advocacy, because a lot of money is on the line. Serious injuries require serious medical attention, such as surgery or other treatment. And medical bills add up, fast. This adds to the amount of the claim. The more expensive the claim, the more likely the insurance company will screen it for any possible reason it can be denied; or alternatively, if the claim can valued at a lower amount. The Insurance Co.’s goal is to avoid paying so as not to cut into its profit margin. And cases involving large damages are usually not settled without filing a lawsuit… unless you are willing to accept less than what the claim is worth. 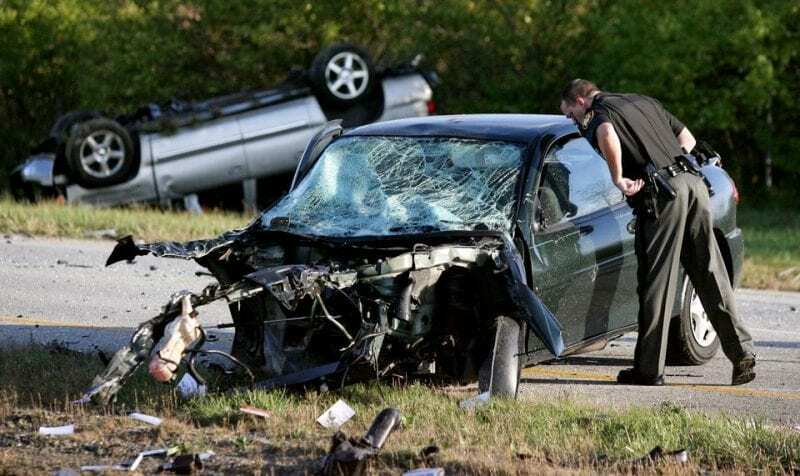 If you want to maximize the claim and obtain as much compensation as possible – that is, the compensation you deserve after a serious car wreck – then you need to consult with a lawyer. There is one exception to this rule. Read very carefully. You may not need a lawyer if the insurance company is willing to tender the policy limits immediately. There is only one exception to the rule that you always hire a lawyer in cases involving serious injuries. And that is when the responsible party is grossly underinsured. If the offending driver was grossly underinsured, for example, their policy limits were only $25,000, and the medical bills are four times that, and the person does not have any assets, then in that limited scenario you may be able to settle your case for the policy limits without a lawyer. The insurance company will turn over the policy limits to avoid exposing their insured to a judgment in excess of the policy limits (which exposes the insurance company to bad faith liability). But this exception only applies if the facts are not in dispute. When the facts surrounding the cause of the accident are in dispute, then the insurance company has a basis to deny the claim. Therefore, you could be the victim of a catastrophic car accident, with very serious injuries greatly exceeding the $25,000 policy, and the insurance company may still even deny paying out that minimum amount. This would be yet another scenario in which you need counsel. You must also consider the possibility of collecting money in addition to the policy limits. If the person is independently wealthy, or has other assets that may satisfy the damage (such as a house, bank account, or other real estate), then your attorney can go after those assets as well. But if you accept the policy limits, and you do not have a lawyer, the insurance company will have you sign a waiver releasing all other claims against their insured, thus preventing you from going after their assets. In conclusion, if you or someone you know has been seriously injured (or killed) in a car accident, seek legal counsel immediately. We provide free consultations and honest advice.